MagCore System: The automated compact systems for DNA/RNA automatic purification from diverse range of sample soures designed for labs at diagnostic and research fields. MagCore system gives high quality and affordable cost to users at hospital, pharmaceutic and reasearch labs. CE/IVD certification. 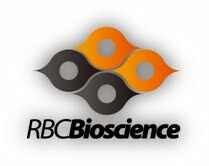 RBC Real Genomics: RBC Esctraction kits for RNA/DNA purification: Genomic DNA ( Whole Blood ), Bacteria, Cultured Cells, Tissues (animal/plant), Plasmid DNA, RNA Extraction (Blood, Bacteria, Cultured Cells, Tissues (animal/plant), Viral Nucleic Acid . HIT Competent Cells: Unlike other commercial competent cells, HIT Competent Cells and its non-heat shock protocol provids the fastest 1min and the easiest one-step protocol of transformation. We guarantee the efficiency up to 109. RBC Polymerase: RBC Bioscience provides a wide selection of extreamly economical and high quality of DNA polymerase. These recombinant polynerases boast superior thermostable properties.ThermOne Real-Time RT-PCR Premix ,ThermOne One-Step Real-Time RT-PCR Premix (SYBR Green, Taq man probe). SensiZyme HotStart Taq, RBC Taq DNA Polymerase, RBC Pfu DNA Polymerase,2X Blue/Red Mix DNA Polymerase Mastermix. Entelechon GmbH is an internationally operating biotech service provider specialized in synthetic and molecular biology. We integrate DNA synthesis, bioinformatics, protein expression, and molecular biological services into a versatile development laboratory. Based on a proprietary gene synthesis method, Entelechon offers a highly flexible and efficient gene synthesis platform with guaranteed product quality verified by sequencing in the company sequencing department. Building on this platform technology, Entelechon offers a broad range of development services in the fields of molecular biology and protein expression. Our success factor is the diverse team of biochemistry, molecular biology and bioinformatics experts which allows us to perform highly integrated projects such as the development of a multiplex PCR-based diagnostic assay, directed evolution and protein engineering, or the identification and validation of cancer biomarkers. Starting with the sequence analysis and optimization, through the gene synthesis, to the expression profiling, protein expression upscaling, and protein purification. Entelechon maintains a network comprised of strategic partnerships with academic institutions and companies. Our clients are research institutes, biotech companies, CROs, industrial and pharmaceutical corporations all over the world. Genome Diagnostics Pvt. Ltd., is a manufacturer of REAL TIME PCR kits, Mol Bio Enzymes, reagents etc. We today enjoy an unprecedented 90 % market share of Real Time PCR market in India in the Diagnostic Market Segment. We have now developed a very vast range of REAL Time PCR kits on Rotor Gene 200/3000/6000. Basic Molecular Biology Reagents: Taq DNA Polymerase, MMLV, Pfu, Hot Start Taq DNA Polymerase, PCR Premixes for Real Time PCR & Gel PCR, Single Tube RT/PCR Premixes for Real Time PCR & Gel PCR, DNA Ladders, Buffers etc Extraction kits for DNA/RNA, plasmids etc. X-Tractor Gene: An Automated extraction system. CAS-1200: An automated liquid handling system for DNA/RNA. ALSO CURRENTLY ENGAGED IN CONTRACT DEVELOPMENT OF REAL TIME PCR KITS AND OTHER DIAGNOSTIC PRODUCTS FOR SEVERAL COMPANIES. LOOKING FOR FURTHER COLLOBORATIONS IN THE AREA OF GENOMICS & PROTEOMICS. TRANSGENOMIC is a global biotechnology company that provides unique products and services for automated high sensitivity genetic variation and mutation analysis. Our offering includes systems, products, discovery and laboratory testing services to the academic and medical research, clinical laboratory and pharmaceutical markets in the fields of pharmacogenomics and personalized medicine. TRANSGENOMIC technologies are highlighted in more than 1,500 peer-reviewed journal articles. Transgenomic WAVE Systems offer discovery and detection of genetic variation at close to 100% sensitivity, making them among the most sensitive and accurate technologies for detection of known and unknown mutations and single nucleotide polymorphisms (SNPs). These systems are used throughout the world to screen for a large variety of diseases. More than 350 human genes have been screened entirely or partly by DHPLC. A multitude of other applications are being used with WAVE Systems in such diverse areas as plant genomics, microbial analysis, and drug sensitivity. With close to 1,300 installations around the world, the WAVE System technology has been accepted worldwide. Since 1986, Operon Biotechnologies, Inc. has been a global market leader in custom oligonucleotide synthesis; driven by the best customer service, consistent quality, and cutting edge design technologies. Operon provides a full range of mass-customized synthesis services in an industrial setting, with the added value of made-to-stock products. Please refer to our specific products and services information or contact Customer Service. [attachmentid(right)=23700]Evrogen provides a variety of products and services for scientists involved in gene discovery and analysis. We offer a unique collection of fluorescent proteins of different colors for common applications including protein labeling and stable cell line generation; photoactivatable fluorescent proteins for direct monitoring of cell, organelle, or protein movement in vivo; kits for cDNA normalization. Scientists ourselves, we are inspired to contribute our innovations and extensive experience to the international research community involved in gene hunting by performing advanced custom molecular biology services, including normalization of cDNA enriched with full-length sequences, cDNA subtractive hybridization (professional order execution by inventors of the SSH method), amplification of cDNA ends, genome walking, cloning, gene synthesis and mutagenesis. NBS offers state-of-the art cell culture bioreactors and fermentation equipment for R & D through production applications. Benchtop equipment may be converted through optional components for mammalian, animal, plant, algae and insect cell culture. NBS Spinners - producing milligram to gram quantities of secreted protein or high virus titer from suspension, insect or recombinant anchorage-dependent cells (including primary cells). Can be validated as a cGMP process in production scale with Fibra-Cel. Fibra-Cel disks are a solid support material for the growth of mammalian, animal and insect cells, used predominantly for production of secreted products such as recombinant proteins and viruses. Fibra-Cel disks are manufactured according to cGMP guidelines. The CEPA family of high-speed centrifuges is widely used in a variety of biological processes from cell harvesting and clarifying to separations of chemicals, foods, blood and pharmaceuticals. Two ranges of NBS freezers are offered: Innova® models utilize Vacuum Insulation Panel technology, for up to 30% increased internal capacity without increasing external dimensions. Our conventional-style Premium freezers provide a cost-effective alternative with many of the same features and quality as the Innova brand. NBS CO2 incubators designed with six-sided direct heating. Choice of three models accommodate a variety of needs: NBS also offers a large capacity water-jacketed CO2 incubator. The microprocessor controlled Model CO28IR is designed for applications requiring tight tolerance of carbon dioxide levels. The incubator features an advanced, infrared control sensor for maintaining constant levels of CO2 to within ± 0.1%, regardless of changes in temperature or humidity. NBS offers dozens of innovative shakers. We offer two distinct lines: our Innova series for heavy-duty shaking needs and our C-line shakers for less demanding applications. With 22 models to choose from, there's a shaker to meet your every need. in the world - has its roots in Germany. Still today, the location Germany plays an important role for this globally operating company, which is headquartered in Darmstadt in the German state of Hesse. Our many years of experience qualify us as a competent partner for all customers from the field of monitoring and research laboratories in the pharmaceutical, food, chemical and water industries. 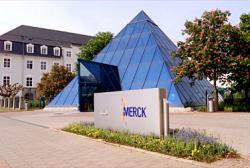 We are proud that our high-quality Merck products are to be found in virtually every laboratory throughout the world. High-purity inorganic reagents, such as salts, acids, caustic alkalis, volumetric solutions, buffers, reference materials for instrumental analytics, and products for inorganic trace analysis. With our commercial-grade solvents and high-purity solvents, we supply products for a variety of applications, e.g., DNA synthesis, gas chromatography and liquid chromatography. HPLC columns, TLC plates and products for sample preparation. With Chromolith, our monolithic separation column, we are the worldwide technology leader in the field of analytical chromatography. We also offer standard biochemicals, such as buffers, amino acids, enzymes and reagents for molecular biology and, through EMD Biosciences, highly innovative kits for sample preparation in protein analysis. Our product portfolio includes culture and enrichment media, products for hygiene monitoring, rapid tests for water analysis, for example, and more than 250 innovative products for cell diagnostics. We focus our activities on business segments in which we achieve competitive advantages through excellent quality of our products, services and systems. We want to achieve this through concentrating our activities on innovations and research on higher grade products in the chemicals business. 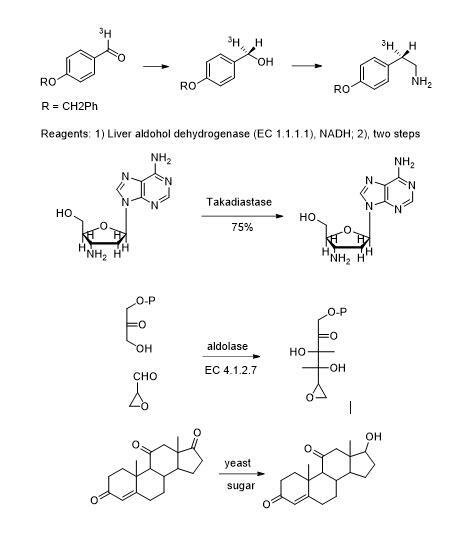 Specialization: Enzymes and Kits for mol. biology, Antibodies, Immunohystochemistry, Reagents for Cell biology, Transfection, Cell and Bacterial culture media, Protein expression, Purification, Custom antibodies prod. Autoradiography, Radioactive Isotope Detection eq. Digestion devices, Homogenizers, Ultrasonic dev. Protein Expression vectors, strains etc.